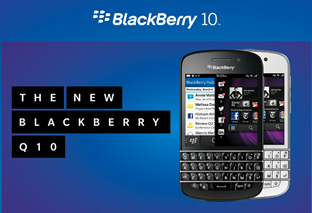 Blackberry Q10 given rough U.S. arrival date and don't forget to check out BB's European Jam keynote! We've already seen and heard a lot about Blackberry's new, all-touch Z10, which is supposedly selling quite well, but we've not heard quite so much about the qwerty Q10. All we really knew was that it was coming 'later in the year'. "We need to respect that. Am I a bit disappointed? Yeah, I would be lying saying no. But it is what it is, and we're working with all our carrier partners to speed it up as much as we can." Finally, if you're now interested in developing some apps for BB10 or you're just interested in keeping up with the latest BB10 news don't forget to follow @BlackBerryDev and you can check out the keynote speech from the Blackberry Jam Europe just here! Associated Press Via BGR and Crackberry.